Corporate branding refers to the practice of promoting the brand name of acorporate entity, as opposed to specific products or services. The activities and thinking that go into corporate branding are different from product and servicebranding because the scope of a corporate brand is typically much broader. 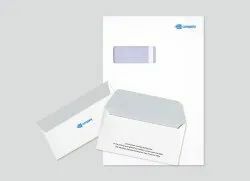 A professionally designed stationery gives a unique identity to your company in the marketplace and increases your brand awareness among customers. Vector n' Raster provides excellent solution in designing all kind of stationaries such as Business Cards, Letter Pad, Customized Envelope etc. Blank DVDs, CDs, Floppies, Zip Floppies, Tape Cartridges, Laser Toners, Ink Cartridges, etc. with on-site delivery. 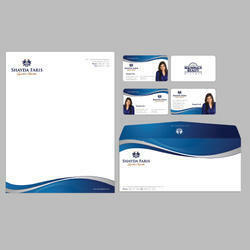 Stationery design covers lot of things to create complete identity of company. Stationery meant the material to use in professional work like visiting card, letter head etc. Stationery Design is our unique speciality where we can create logo from the scratch, visiting card, letter head, invoice format and many more as required. We stationery design Vadodara- Baroda provides professional stationery design services for businesses in & around the Gujarat. Stationary design Vadodara-Baroda gives your company a unique identity & the best impression so that a client could never forget its value. With the assistance of our nimble and hard-working crew of executives, we are instrumental in presenting highly distinctive Stationery Designing Services to our patrons. These provided services are rendered by competent personnel in conformism with industry defined norms and standards. In addition to this, these services could be altered as per the varying requisites of our clients. We innovate new designs with mystic concepts in the Letter heads, Posters, Pamphlets, Business card and Leaflet designs. Our Graphics services are appreciated by our clients in a huge manner.